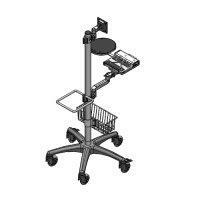 Mobile computer cart(model #60250B series) - Sallas Industrial Co., Ltd. 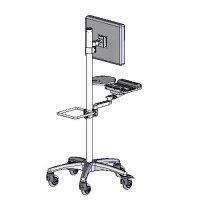 This computer mobile cart is designed to be high quality appearance and competitively priced. It provides effortless arm adjustment and cart mobility. Ruggedly 2" electroplated steel pole. aluminum alloy 2" pole clamp. #60606 series pole mount CPU holder.